LoggerLink Mobile Apps are simple yet powerful tools that allow an iOS or Android device to communicate with our CR200X, CR800, CR850, CR1000, CR3000, CR6, or CR300 dataloggers via an IP device (NL115, NL116, NL120, NL121, NL201, NL240, RavenXTV, RavenXTG, RV50). LoggerLink for Android also supports Bluetooth communication for these same dataloggers using an RS-232-Bluetooth adapter. The apps support field maintenance tasks such as viewing and collecting data, setting the clock, and downloading programs. Note: An Android device will not, by default, connect to an ad hoc network. However, some smartphones and tablets may be configured so that they will work in an ad hoc network. Consult with your wireless provider for information on setting up your device for connection to an ad hoc network. For more information about ad hoc networks, see the Compatibility information. LoggerLink mobile apps are free and available through the Apple Store or Google Play. Current Page—displays the current record for any data table in the data logger. Settable values (including Public table numeric, boolean, and string values and Status table values) can be changed from this page. Historic Page—displays the data logger's current data table data in graphical or tabular form. You select the fields and data range to be displayed. Collect Data Page—allows all data, only new data, or most recent data to be collected from the data logger. You select the tables containing the data to collect. Data is stored in a TOA5 format. Once collected, data can be viewed on the device or emailed and viewed on a PC. Files Page—used to view the data logger’s drives as well as pause/resume the currently running program. You can also view and edit files (including the running program) on the data logger, send files to the data logger, get files from the data logger, or set the run options for a data logger program file. Status Page—shows important information about the data logger, such as the current program, errors, card status, battery status, and clock. It also allows you to send a program to the data logger and set the data logger clock. Settings Page—used to view and change the internal settings of a data logger. iOS—can email collected data files and files retrieved from the data logger. LoggerLink also supports file association for CRBasic program files. This allows you to save a program file sent as an email attachment to LoggerLink’s directory on your iOS device. You can then send the program file to a data logger using LggerLink. A file-sharing application such as Dropbox can be used to transfer program files from the PC to the iOS device and data files from the iOS device to the PC. iTunes is used for all other file transfer between the iOS device and a PC. Android—can email collected data files and files retrieved from the data logger. A file-sharing application such as Dropbox can be used to transfer files between your Android device and a PC. All other file transfer between the Android device and a PC is accomplished by connecting the Android device to the PC as a disk drive. The iOS or Android device communicates with the data logger via an IP device (NL115, NL116, NL120, NL121, NL201, NL240, NL241, RavenXTV, RavenXTG, RV50). LoggerLink for Android also supports Bluetooth communication for the same data loggers using an RS-232-Bluetooth adapter. The following table illustrates which communication options are appropriate for the two LoggerLink applications (Android and iOS). 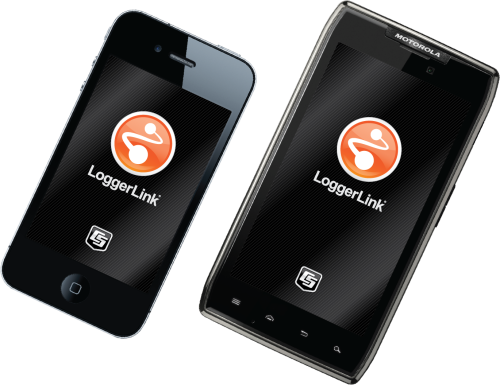 LoggerLink for Android can be used to communicate with any of its supported data loggers over IP-based or Bluetooth 2.0 communication. There are some items of note, however, when considering your communication options. IP-based communication options include wired Ethernet devices (such as Campbell Scientific’s NL116 and NL121) and devices that use a wireless communication protocol (such as our NL241). Wireless networks can be set up in infrastructure mode where a central router or access point is in place, or in ad hoc mode where there is no central point of access and all devices in the network communicate with each other on a peer-to-peer basis. If the communications link to the data logger is via a wired Ethernet connection, simply type in the IP address of the data logger to connect. If the communications link is via a wireless network configured in infrastructure mode, the Android device can connect to the network’s Wi-Fi access point or cellular network, which, in turn, provides an IP connection for LoggerLink to use. However, by default, the ability for an Android device to join an ad hoc network that is initiated by another device is disabled in the Android OS. 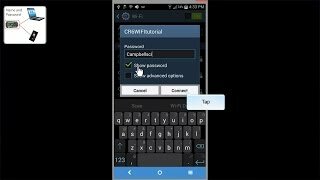 In this situation, the Android device can be configured as a Wi-Fi hotspot, and the wireless device in the ad hoc network that provides the connection to the data logger can be set up to connect to it. This situation would occur, for example, if an NL241 was used without an external wireless or cellular network. The Android device would be set up as a wireless hotspot, and the NL241 would connect to that hotspot. LoggerLink for iOS supports IP-based communication only (both wired and wireless Ethernet). Ad hoc networks are fully supported by iOS. Support for communication over Bluetooth is not available, because Apple does not allow serial port protocol over Bluetooth 2.0 for commercial use. LoggerLink connects directly to a single data logger using a TCP/IP connection. 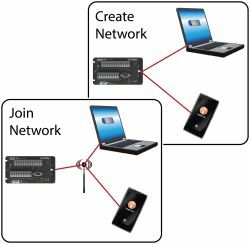 In contrast, LoggerNet Mobile Connect connects to a LoggerNet server, and in-turn, can connect to any device in the LoggerNet network regardless of the communication link to the data logger. Is it possible to copy the datalogger setup information from an iPad to an iPhone, or vice versa? LoggerLink stores datalogger setup information in a file named logger_settings.sqlite. This file can be accessed through iTunes and File Sharing, and it can be saved to a computer and then copied onto any number of iOS devices. Why does the graph in LoggerLink not display any historical data? By default, the graph doesn’t have any data configured. It is necessary to select a data table and the fields to be graphed. The data range for the graph may also need to be modified to accommodate the range of data to be displayed. How can files be transferred from one device to another via iTunes? After the iPhone synchronizes with iTunes, click the iPhone button at the top. Within the iPhone display, click the Apps button at the top. Scroll down to the File Sharing section. In the Apps field, click LoggerLink. All of the files are displayed in the LoggerLink Documents field. Click a folder or file to select it. Click the Save to… button. Can LoggerLink communicate via FTP? No. LoggerLink is not compatible with FTP. Is it possible to connect to a datalogger using a smartphone that has LoggerLink? Yes. LoggerLink is designed to communicate with dataloggers using IP connections. Typically, if a datalogger can be reached by a smartphone, LoggerLink should be able to communicate with it. 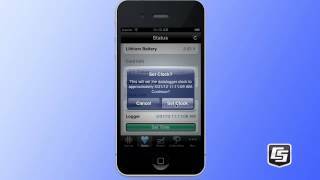 Can a datalogger be configured to send an alarm to an iPhone or Android device that has LoggerLink? No. LoggerLink is not currently compatible with alarming. Can data be collected from a datalogger using a USB cable with LoggerLink on an Android or iOS device? No. There are currently no plans to develop a cabled connection to LoggerLink, as there are too many different connection types and certification requirements to pursue cabled connection options. Does LoggerLink allow ad-hoc connections? LoggerLink supports all TCP connections with Campbell Scientific dataloggers. However, some network types are not supported by all devices. For example, ad-hoc networks are supported on iOS devices, but they are not supported on Android devices. Does LoggerLink require the use of static IP addresses to communicate with a modem? No. LoggerLink doesn’t require a static IP address, but the current IP address is needed for communication with the datalogger. This may require changing the datalogger setup frequently in LoggerLink. On some networks, the LoggerLink UDP discovery setup option may make dataloggers with dynamic addresses easier to find. With static IP addresses or domain names, it should not be necessary to change the datalogger setup in LoggerLink.